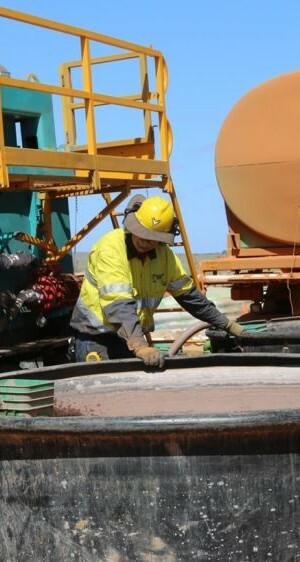 Technologies developed by the CRC will be routinely used in mineral exploration and will enable more successful, more cost-effective, more environmentally-friendly and safer ways to drill, analyse and target both new deep mineral deposits (‘greenfields’) and deep extensions to known deposits (‘brownfields’). The vast majority of Australia’s existing mines are located where mineralised basement rocks are outcropping or shallow. In order to ensure the future of mining in Australia and overseas, new technologies must be developed to explore to greater depths, and under deep, covered basement. Improving the cost-effectiveness, safety and environmental impact of drilling. Improving analysis of drilling results (e.g. downhole or on-site assays to provide more rapid results and improve productivity). Improving early information on the extent of subsurface ore bodies in order to avoid locating major surface infrastructure where mining subsequently occurs. Improving the effective radius of boreholes using elements / minerals that vector to mineral deposits. Deployment of revolutionary new drilling technologies such as coiled tubing drilling for mineral exploration. Incremental improvement in conventional drilling such as better monitoring of bit wear and reduction in manual handling of drill rods. Utilising downhole or on-site sensors to reduce the need for core and off-site, lab based core analysis. Improved geophysical techniques to enhance early drilling-based delineation of discoveries (particularly at depth) and facilitate better life-of-mine planning.